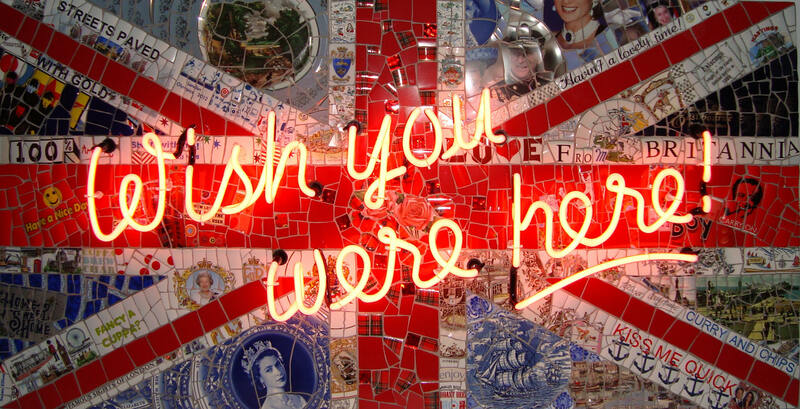 'Wish you were here' - neon and mosaic flag - available from Mauger Modern. 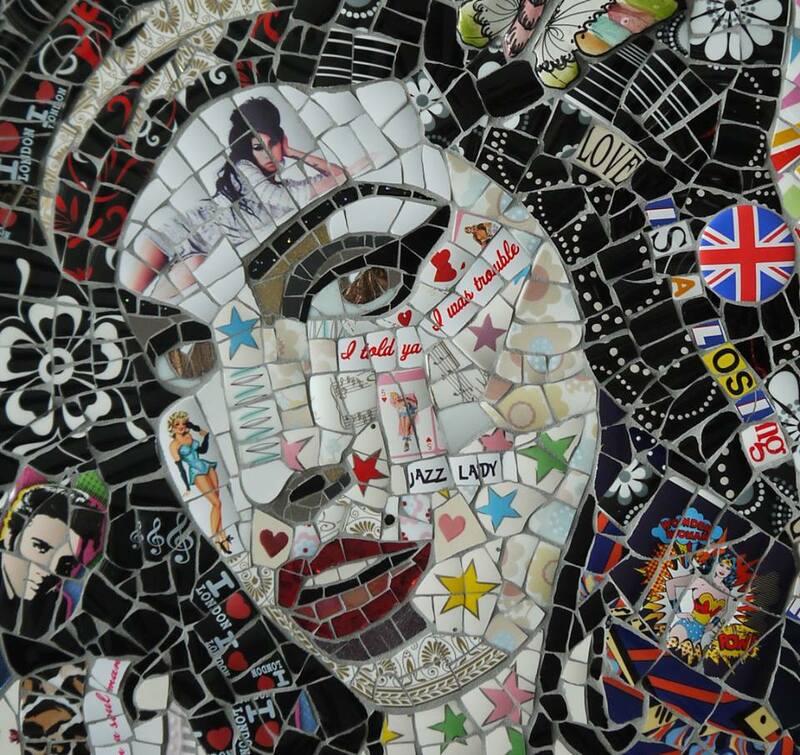 Susan Elliott is a Hastings based artist working with mosaic materials. Recycled ceramic kitchen crockery, tourist mementos, novelty mugs and badges are woven into more traditional mosaic tesserae, creating multi faceted, jewel-like and iconic images. The Affordable Art Fair, London. 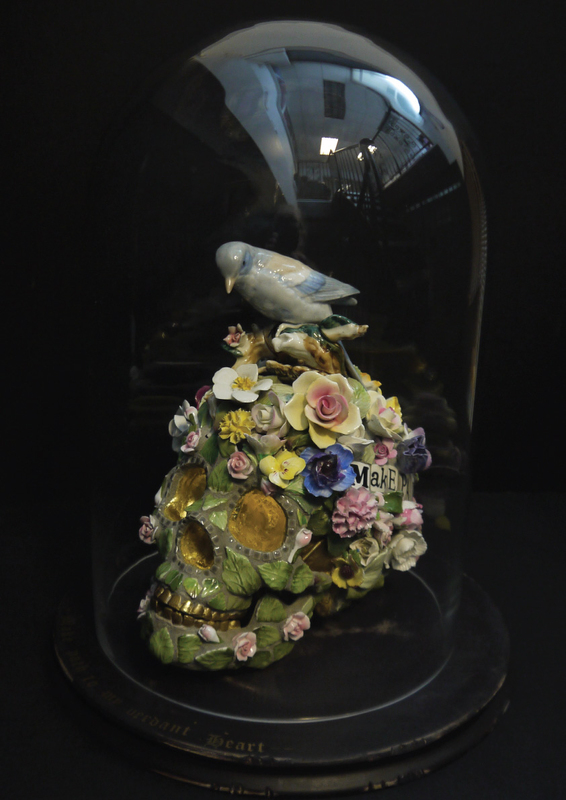 Private View thusday 15th November (7.00pm). Runs til Sunday 18th November and from 12 to 7pm (Sunday closes 4pm) SEE EXHIBITIONS FOR FULL DETAILS.